Today I’m welcoming Lawrence Chau. 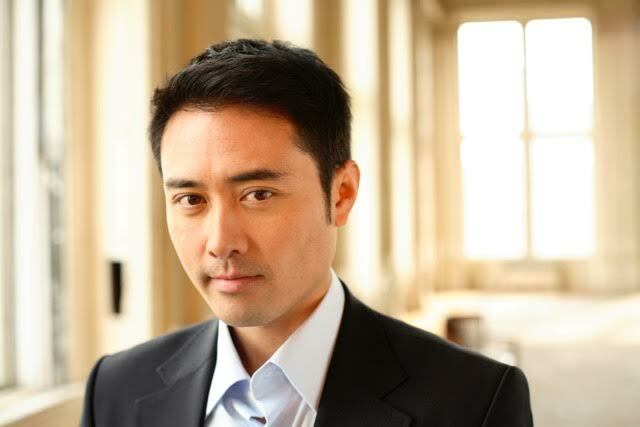 Lawrence Chau is an actor and an award-winning host and writer, who has worked in Canada, Asia and America. He is known by most in North America as the host of Ghostly Encounters. The paranormal program airs stateside on Destination America, in Canada on Oprah Winfrey Network, and in Asia on Crime & Investigation Channel. Thank you, Lawrence for stopping by! I was born and raised in Toronto, Canada and graduated with a degree in journalism. I then trekked off to Hong Kong where I landed my first break in showbiz. Then came Singapore. That’s where my career really exploded as a host and actor. After 10 great years in Asia, I routed back to Toronto where I landed Ghostly Encounters and other acting gigs. Los Angeles is home now where I’ve been concentrating more on acting. Off-camera I zone out by watching movies and TV shows. I also love dogs. I’m not really into nightlife as I don’t like drinking. I’m in a more Zen state of mind. I love my “me” time. Along with being an actor, you’re also a writer. What are some of your writing accomplishments? You’re going to laugh, but my first exposure as a writer came when I was seven. I wrote and illustrated a short story called Crazy Witch that was made available for loan at the school library. It was an imaginary tale of how I escaped from a Crazy Witch after she had kidnapped me with designs of cooking me in her caldron. I then won a scholarship award for best story-of-the-year in journalism school. Professionally, I have contributed to numerous publications in Asia and Canada as a columnist and entertainment writer. I also used to pen many of the scripts for Showbuzz, Singapore’s No. 1 English entertainment news program, which I also anchored and produced. I probably will delve into scriptwriting eventually. You’re the host of The Biography Channel’s television series, Ghostly Encounters. What’s that like and are you a believer in the paranormal? BIO. did air Ghostly Encounters years ago, but no longer. As of now, Destination America (owned by Discovery Channel) has bought the series and airs it stateside. Yes, I do believe in the paranormal. I actually recounted a chilling ghostly encounter in my personal life at the audition. I’m guessing that helped me land the gig as host. I’m really grateful for that opportunity. Not many producers or networks would take a chance on an Asian male entertainment host. Is there a particular episode of Ghostly Encounters that just really grabs your attention? If so, why? Anorexia and The Hag stands out. The episode also resonated with a lot of viewers for they, too, claimed to have experienced the paralyzing effects of The Hag — as have my brothers and I. To this day, I’m not sure if it was what doctors describe as sleep paralysis or a spiritual encounter, but let me tell ya, when my brothers and I had them during our teens and 20s, we were freaked out. I don’t get them anymore, though. Have you personally experienced anything paranormal? A little after midnight, the phone rings. I think it’s my boss calling to check up. Nothing. All I hear is a breezy sound. Then the ceiling lights slowly zap off row by row. I quickly turn them back on. I resume typing my essay when down the hall I hear the elevator moving. I assume it’s building security doing the rounds. The elevator stops on my floor. No one. Then I hear “thump, thump, thump;” loud footsteps coming down the hall from the elevator towards me. I am frozen at my typewriter. I immediately think, “Big Foot!” I see nothing, but the slow, elephant-like steps continue right past me. The steps stop at the end of the room. Suddenly the pinned up papers at the end wall fall down, then a lamp falls. I am frazzled with fear. In a mad dash, I put everything back in place and tear off home. The next day I ask my boss what the heck that was. She says the same thing happened to her when she stayed behind one night, the difference being Big Foot actually walked through her and she felt an unearthly chill glide through her body. If someone wanted to ask your opinion regarding the supernatural, what would you tell them? Have you conducted any paranormal investigations? If yes, where? No, I actually have not. You have quite the impressive background with an extremely busy schedule. How do you find time to unwind? The entertainment industry is crazy. Very unpredictable. If we aren’t on-camera, chances are we’re doing something behind-the-scenes. Breaks pop up here and there and you just seize them. Sleep, movies, DVR, quiet nights alone or with friends — all help soothe the soul. I travel alone sometimes, too to de-stress. I also love Googling and YouTubing. Care to share some of your current projects? We just wrapped filming on Farm 1, a rather intense short film that sheds light on the dark world of child prostitution. I actually had nightmares preparing for my role, arguably the grittiest role I’ve tackled to date. (No spoiler alerts, lol). It’s produced by Hoplite Entertainment, which recently won an Emmy, so I’m sure it’s in great hands. No idea when it will be released. It’s currently in post-production. Any positive words of advice for your fans? Firstly, thanks for watching and supporting Ghostly Encounters. Means a lot! Advice? Don’t live in a bubble. Get out and explore the world. Discover it and your inner self. Find what makes you tick, pursue it, and live life to the fullest. Happy Friday all you beautiful people!! 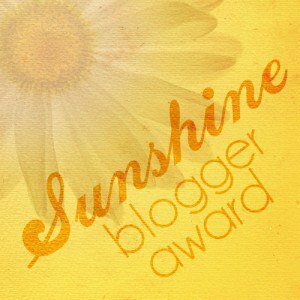 I want to thank FZ from the fantastic blog, Living simplyy for nominating me for The Sunshine Blogger Award! * Thank the person who nominated you. * Answer the questions from the person who has nominated you. * Nominate some other bloggers for this award. * Write the same amount of questions for the bloggers you have nominated. * Notify the bloggers you have nominated. 1) How would you define happiness ? And do you see yourself as a happy person? Happiness to me is being able to wake up every morning with gratitude for another day… Seeing another gorgeous sunrise, a cotton-candy colored sunset… being with loved ones. Enjoying all the simple things in life. Do I see myself as a happy person? Absolutely, yes!!! 2) What is the purpose behind writing and creating your blog? To be able to openly discuss the paranormal without judgement and ridicule. To share my experiences and to also learn from others. 3) If you could share one piece of advice with everyone in the planet, what would it be? To always be yourself. Know your self-worth and be proud of who you are. Be original. Be true. Be You!!! 5) What are your goals for this end of 2015? The completion of writing my next novel. I’m really excited about it and can’t wait to get it out! 1.) What inspires you to be the person you see in the mirror? 2.) What are some of your favorite things in life and why? 3.) How do you unwind at the end of a busy day? 4.) What is your favorite thing about writing a blog? 5.) Any words of wisdom you’d care to share? I’d like to take this moment to thank Charles French from the wonderful blog, frenchc1955 for nominating me and giving me the opportunity to answer these amazing questions! You have 20,000 books on your TBR. How in the world do you decide what to read next? I take a step back, take a gander at the books before me and then simply reach for the one that grabs my attention first. You’re halfway through a book and you’re just not loving it. Do you quit or commit?Commit because one never knows what the next chapter holds. The end of the year is coming and you’re so close yet so far away on your GoodReads challenge. Do you quit or commit? Keep going even though the challenge might not get completed, the effort in knowing that I gave it my best is rewarding enough. The covers of a series you love DO. NOT. MATCH. How do you cope? Can’t always judge a book by its cover. I read for the story, not for the pretty little package. Everyone and their mother loves a book you really don’t like. Who do you bond with over shared feelings? I leave it be because I’m sure that I’ve read books that others haven’t liked either. Can’t always like the same things, that’s the beauty of individuality. You’re reading a book and you’re about to start crying in public. How do you deal?Blame it on allergies, hahaha… no, but seriously, if someone asks what’s with the tears, I simply tell them about the fascinating story that I just read. A sequel of a book you loved just came out, but you’ve forgotten a lot from the prior novel. Will you re-read the book? Skip the sequel? Try to find a summary on GoodReads? Cry in frustration? Move forward with the sequel because I know while reading it, there will be parts that will trigger things from the first book. You don’t want ANYONE borrowing your books. How do you politely tell people “nope” when they ask? I never deny anyone a book. To me, books are a great way to share with others. Regardless if it’s fiction or non-fiction, a book can offer so much insight. You’ve picked up and put down five different books in the past month. How do you get over the reading slump? Luckily, I’ve never dealt with a reading slump. Once I start reading a book, (it might take me several days to finish) I stick with it until the last page. There are so many new books coming out that you are dying to read! How many do you actually buy? I buy one at a time. I like to keep things simple. After you’ve bought a new book you want to get to, how long do they sit on your shelf until you actually read them? I start reading immediately that same day. Getting a new book for me is like getting a Christmas present, can’t wait to get my hands on it! The paranormal is definitely something that I believe in. Without a doubt, there are inscrutable entities in their own realm of existence. Some are shady with dark, malevolent intent, while others are merely passing through for whatever reason. However, I still view things with a skeptical eye. Not everything “incomprehensible” that happens can be explained with paranormal reasoning. In fact, with research and investigation, often what we perceive to be unexplainable can actually be justified with plausible cause. So many factors need to be considered when trying to debunk or prove the preternatural world. Often, findings can be conclusive with the simplest of methods. And other times, even some of the most advanced paranormal equipment ends up with inconclusive results. Recently, something peculiar happened in my home. Now looking back, it’s kind of embarrassing because it’s so mundane, but I want to share it with you because I believe it’s a prime example of investigating the unknown. Previously, I mentioned in another article that there is a huge window in my bedroom. On its sill at night I like to light tea lights. There’s just something soothing about the illuminating glow from the warm little flickers. Anyway, when I first began doing this, I noticed some gentle, random tapping outside on my window. I quickly brushed it off, thinking it was due to a soft wind blowing by. A couple of more nights passed with the same tapping , but there wasn’t any wind to blame. So my curiosity grew. I grabbed a flashlight and began to search for answers outside my window for the source of the tapping, but nothing was found. So, I went to bed that night still without explanation as the candles burned down. The very next night I lit the candles again. The gentle tapping slowly started back up. It was dark, no street lights and the wind was calm. So where was this mysterious sound coming from? I looked outside the window, searching for an answer. “Question mark” was all I could think about, and then I noticed something…. something small and fluttering… bobbing around in the darkness…. I looked at this little insect as it attempted to fly towards the light given by the candle on the inside of the window. And that’s when it dawned on me. 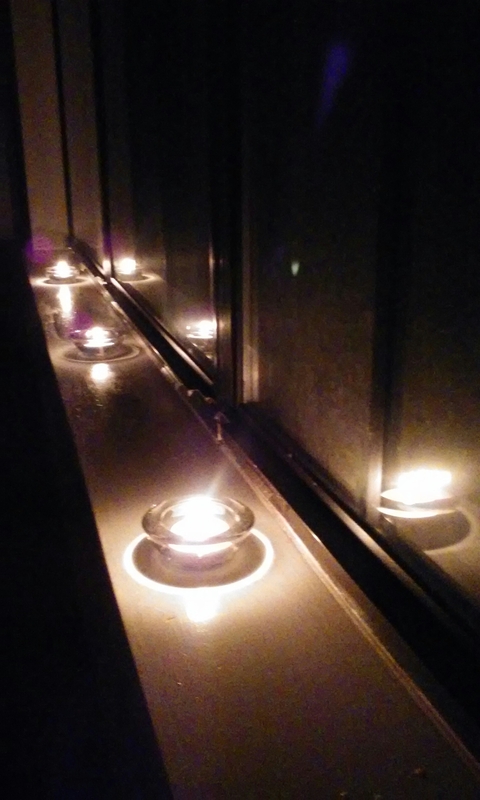 Every night when I’d light the tea lights, flying insects were attracted to their illuminating glow, creating the tapping on the glass with their attempts to enter. Something so simple with a plausible explanation… nothing paranormal at all. Just the innocent curiosity of some winged little insects wanting to get in. ~ Sheila Renee Parker on Twitter @sheilarparker. I have been tagged by Geoffrey Valentine from the amazing blog, https://highteadreams.wordpress.com/ to answer the following questions. Do you have a certain place at home for reading? My fave place to read is my bed. I like to bunch all my pillows together at the headboard and snuggle back into a comfy spot. With my hair pulled back and glasses on, that’s when the reading begins. Bookmark or random piece of paper? Either one that’s handy. I’ve even used business cards to mark the page. Can you just stop reading or do you have to stop after a chapter/a certain amount of pages? Definitely have to finish the chapter that I’m on before I can put the book down for the night. It’s kind of like finishing a thought for me, finishing the chapter just makes it easier to process what I’ve read so that I can take a break before continuing the story. Do you eat or drink while reading? Never. I’m sort of a “clean freak” and don’t want anything food related near my books. Multitasking: Music or TV while reading? Not for me. I mean, I love music and a great t.v. show, but when it comes to reading, I like to focus my attention on the book in my hands. Outside distractions take away from the imagination, in my opinion. One book at a time or several at once? One book at a time. I’ve never been able to “multi-book”. Reading at home or everywhere? Even though I prefer to read in my bedroom, I can easily read anywhere. I used to work in a salon and in between clients, my nose would be buried in a book. Do you read ahead or even skip pages? No way. Actually, I’ve reread paragraphs or pages before just to make sure that I’ve grasped every minute detail of the story. Do you write in your books? No. If I have to make notes, I’ll jot them down on a piece of paper, then fold the sheet in half and use that as a bookmark. It’s been one amazing year since I began writing this blog and since then, I’ve met so many wonderful people! I want to take this opportunity to thank each and every single one of you for helping me make this blog what it is today. Without all of your insights, opinions and stories, there wouldn’t be a reason to continue this blog. But because of all your awesome interactions, they have given me a broader perspective on things and I thank you for that! I have learned so much from you… so thank you a million times over! You all are beyond fantastic and you definitely rock! I hope everyone knows how much you truly are appreciated and I deeply mean that! Every week I write different topics about the paranormal. Some aren’t as simple to write as others… it hasn’t always been easy for me to talk about the paranormal, but because of you, you make it easier to open up. 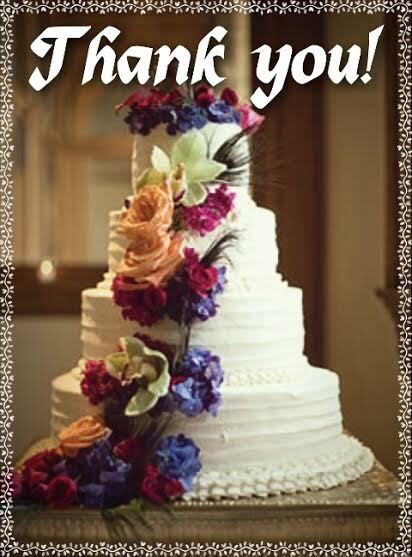 Thank you all for being such an important part in my life! Thus far it’s been one exciting paranormal journey and I know it’s just the beginning!